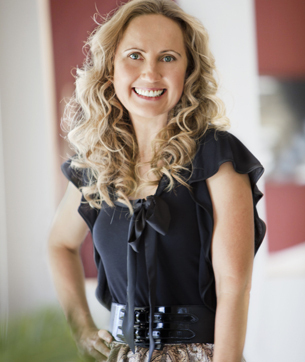 Christine Cronau is an Australian nutritionist, best selling author and speaker. I would like to ask the question…How can a doctor be accused of professional misconduct for recommending real food for a child? In 1919, a book called What is Malnutrition? was published to address the first signs of malnutrition appearing in children in the United States. The early 1900s marked the beginning of a big change in diet (we started eating a lot more sugar and carbohydrate), and the health of children was starting to decline. It was identified as a problem to be addressed, but, unfortunately, it never was. And now we seem to have forgotten altogether that we ever advised children to consume a diet rich in fats and quality proteins. “A malnourished child lacks several or all of these characteristics of a normal child, depending on the degree of undernutrition. His skin may have a pale, delicate, waxlike look…There are usually dark hollows or blue circles underneath his eyes…his tongue coated, and his bowels constipated. His skin seems loose, his flesh is flabby, and his muscles are undeveloped. Because of the lack of a muscular tone, his shoulders are usually rounded; his chest is flat and narrow. Decayed teeth, adenoids, enlarged or diseased tonsils may also be present. This condition was described almost 100 years ago, and what has happened since then can only be described as an absolute travesty. Back then, undernourishment was only seen in a relative minority; around 20%. Now, anyone working in a classroom could probably tell you that the description of a malnourished child could apply to the greater majority. “A diet insufficient or unsuitable is generally conceded to be the most common cause of malnutrition. To be well nourished, a child must have every day some body-building material, or protein, to help form his muscles, his blood, his heart, his lungs, his brain, and all other living parts of the body. Without it his muscles can not develop normally nor his organs be in the best condition. This was before we changed the guidelines, which, instead of addressing this type of problem, advised the exact opposite of what children need to grow and develop properly. The low-fat, grain based dietary guidelines are not evidence based and are destroying our health—and that of our children. I would like to ask the all important question. Why is it Professor Noakes on trial? Why aren’t our health authorities on trial? Health authorities such as dietetic associations all over the world are perpetuating a myth that is destroying our health. Now they are going so far as to accuse doctors of unprofessional conduct for telling the truth. Although many scientists have been aware of this for years, even the general public is now starting to see that these organisations are selling our health for the sake of profit.